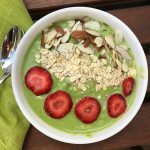 For a spoon-able smoothie with some chew and tons of nutrition, try this satisfying green smoothie bowl. 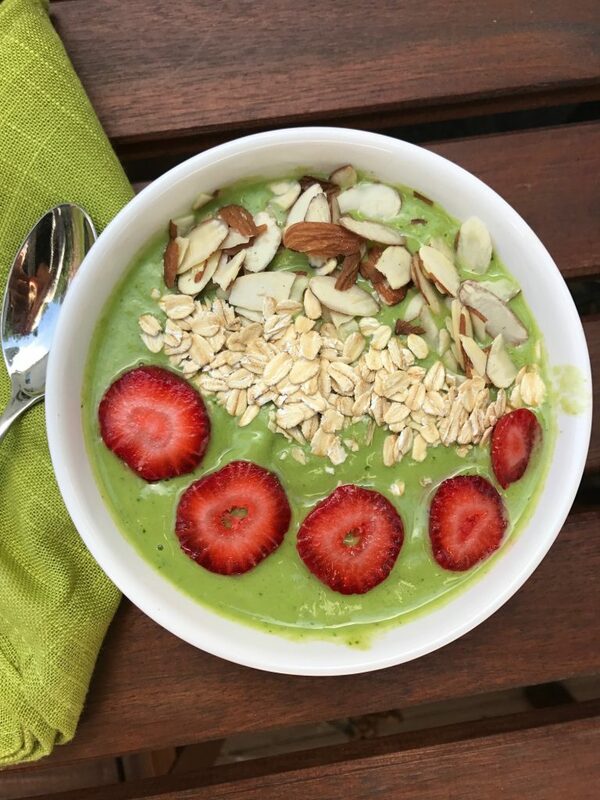 Blend banana, mango, spinach, and yogurt in a blender until smooth. It should be the consistency of thin soft serve. Pour into a bowl. Top with chia seeds, strawberries, oats, and almonds.